for cats rapidly kills fleas and reduces the incidence of this condition. 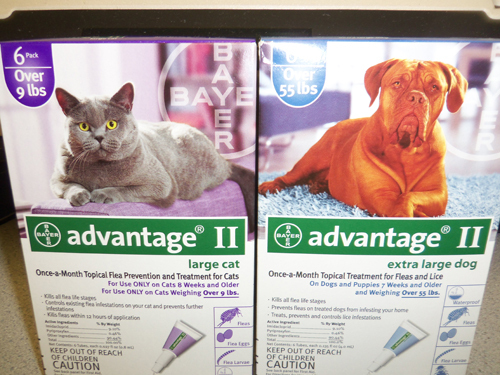 Advantage® II for cats kills fleas and may reduce the incidence of this condition. within 2 hours with protection against further flea infestation lasting for up to four (4) weeks. Pre-existing pupae in the environment may continue to emerge for six (6) weeks or longer depending upon the climatic conditions. A Pet Place of Clearwater uses Advantage® products as part of our routine Vetenary Services to benfeit your Pets overall Health.